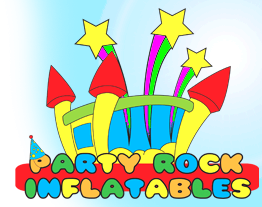 Welcome to Party Rock Inflatables! Every king and every queen need their castle. And with our Pink castle bounce house, it's just that easy. Inflates in minutes for hours of fun at your next party. 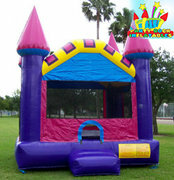 This 15 x 15 castle bounce house is perfect for any occasion. It features a safety entrance ramp and netting and 250 sq ft of bouncing area! Rental rate includes up to 8 hours of fun!